Provençal liturgical poet and commentator; probably lived at Aix in the fifteenth century. 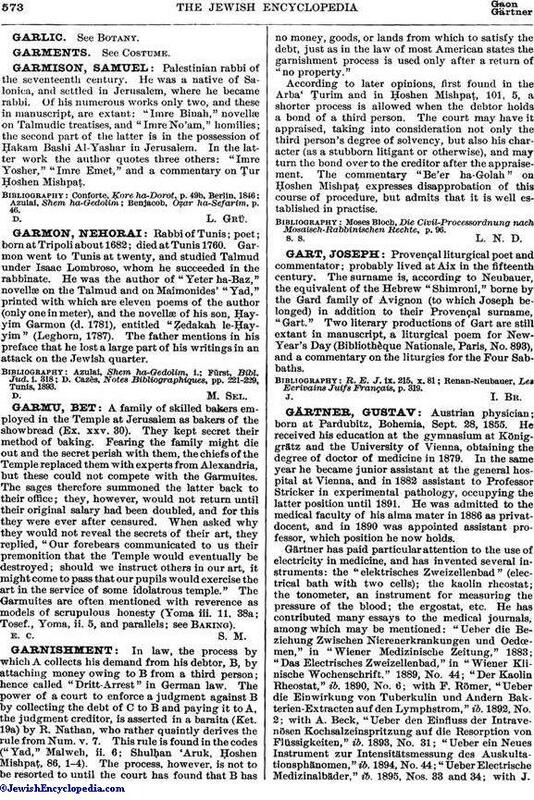 The surname is, according to Neubauer, the equivalent of the Hebrew "Shimroni," borne by the Gard family of Avignon (to which Joseph belonged) in addition to their Provençal surname, "Gart." Two literary productions of Gart are still extant in manuscript, a liturgical poem for New-Year's Day (Bibliothèque Nationale, Paris, No. 893), and a commentary on the liturgies for the Four Sabbaths. Reuan-Neubauer, Les Ecrivains Juifs Français, p. 319.